On June 5, 2017, in the former Cleveland JROTC Building, we honored Cleveland alumni who have served our country in the Armed Forces, and, especially, the Cleveland alumni who died in the service of our country during the Vietnam War. 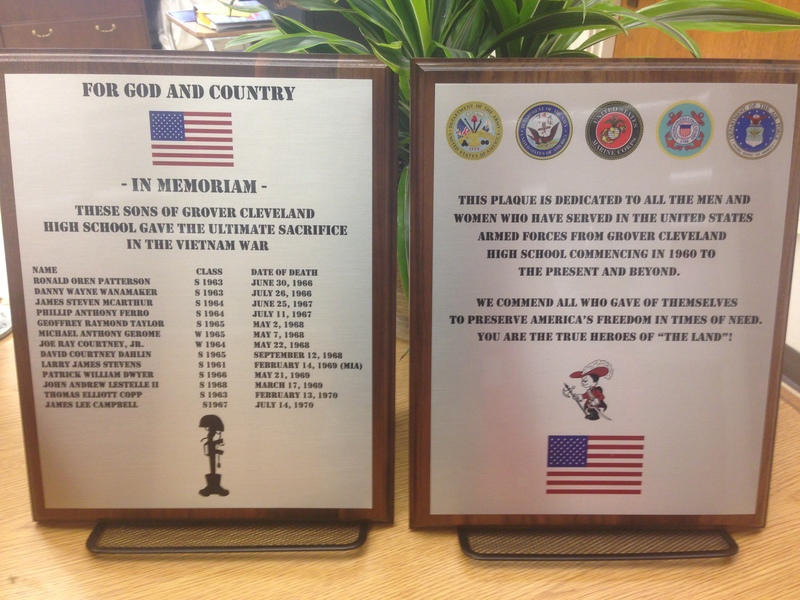 We honored these alumni in a brief ceremony during which we installed commemorative plaques in the former JROTC Building, one of which displays the names of Cleveland’s fallen in Vietnam. For more information, please do not contact the school. You may telephone Robert Rakauskas, Assistant Principal, at 818-885-2318, or e-mail him at rjr6755@lausd.net. Please click on the link below to view the plaques.